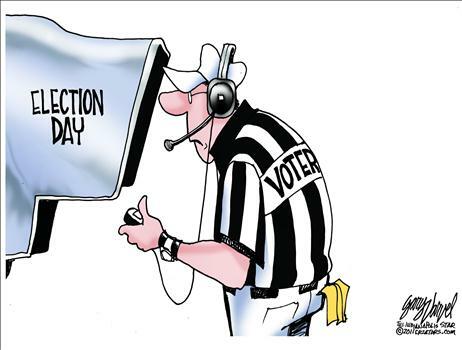 In just a few days our nation will either vote for an instant replay & relive the disaster of the last four years or move on to elect a president who believes in a US Constitution that is relevant and without private interpretation. The US Constitution is a timeless document that has served our nation well. The most blessed nation on the planet and yet the youngest nation on the planet. Blessed because of the belief in the Holy Scriptures and a godly group of men who prayed and were given a Constitution that has survived until now. It has survived because it was baptized in those same Scriptures. We are a blessed nation because of our reverence for God’s Holy Word and it is evident in our nation’s documents. A bad vote NOW will send us backward and not forward. It is a vote against God’s Holy Word and the nation’s documents extolling God’s Words. WHAT ABOUT FBC AND HAC? Our nation has suffered an economic drought while our churches have also suffered via a theological drought with the clumsy attempt to discredit the very words of God. Hyles-Anderson College held a “King James Summit” that was a farce to say the least. I sat through the entire day! I was embarrassed! Some Churches with HAC grads blindly agreed with the Catholic lineage and leanings given of our Holy Scriptures. Thank the LORD though the majority of the grads did not agree and voiced their concerns and stood tall in the saddle for inspiration. Three dear friends of mine Dr. Rick Finley, Pastor Steve Hobbins, and Pastor Bruce Goddard recently dictated letters and published letters of recommendations for Hyles-Anderson College. I respect these men and their churches. However, I fear this is premature and could delay the necessary process of doctrinal cleansing that is needed in Crown Point, IN. In Jack Schaap’s book “WHERE ARE WE GOING?” on pages 84 and 85 he made it clear he did not believe in the preserved inspiration of the KING JAMES BIBLE and the rest of us who did were ignorant to believe such. We were, in his words, destroying the work of God. Here is what is puzzling to me? The entire church staff, school staff, college staff, and deacon board signed their names to that book stating they were 100 % behind Jack Schaap and his attack on us poor ignorant people who believed in preserved inspiration of the King James Bible for the English speaking people. May I suggest that we preachers be “swift to hear and slow to speak.” My dear preacher friends, before you send out letters stating you are 100% behind the President of Hyles-Anderson College, thus casting a vote in favor, it might behove you to ask if he, and the faculty, still hold to Jack Schaap’s written position against the preserved inspiration of the King James Bible. Before you vote to enter into another 4 year Jericho commitment, in God’s dear precious name, make some one accountable for what they said in 2009. Before you anoint another president of HAC I would suggest someone ask some probing questions about the Lord’s Supper, mistakes in the King James Bible, possession of demons in a believer, God’s hatred for mankind, the work of the Holy Spirit, charismatic teachings on money, mistreatment of older men of God, foul language in staff meetings, and finally why did these men in leadership not speak up? How can any man of God give an endorsement to a college without knowing what the direction of the college is? Are they going to rediscover the roots of Biblical principles that obviously worked for Dr. Hyles? Just because Jack Schaap has been dismissed for moral failure does not all of a sudden make HAC the place to be! WILL THE REAL FIRST BAPTIST CHURCH AND HYLES-ANDERSON COLLEGE PLEASE CLEAR THIS UP? 4,000 inquiries this week to me as a concern of the direction of HAC. That is mind boggling to say the least! Can HAC be salvaged? Absolutely! Just as the attack on these issues was put into print so must a retraction be put into print. Even then the trust must be EARNED! We cannot just go on as if none of this ever happened. Please do not be so naive to believe that every thing is alright just because the pastor has been dismissed. His leadership was massaged and cuddled by those who were enablers. They are just as accountable for the doctrinal failure as the pastor! Someone must speak! Please clear up the doctrinal and theological fog!